For two-thousand years, the Chinese, French, Japanese and Republic of Vietnam forces tried to pacify the Mekong Delta and failed. The United States Ninth Infantry Division, and U.S. Naval Forces of Vietnam, did it in a little over three years, but at a high cost. They fought for freedom, they fought with honor, but in the end they fought for each other. 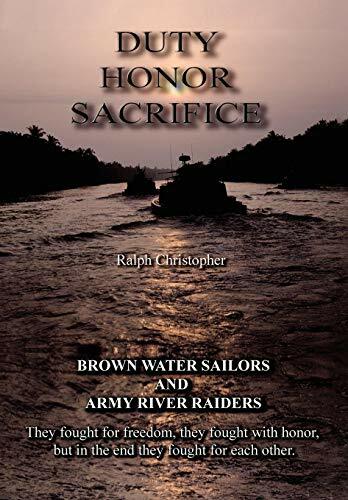 Ralph Christopher served in Vietnam with the Brown Water Navy and became a professional musician after returning home. He is a National Board Member of Gamewardens of Vietnam, www.tf116.org. as well as a member of the Mobile Riverine Force Association and other Veteran groups. He has written two books on the Vietnam river and coastal war and is underway producing a photo album tittled RIVERINE, as well as writing his screenplay RIVER RATS, based on his first book.